Pressures to diversify and up profits are constantly increasing, and the addition of new or added-value crops can help farmers do just that. But with genetics and technology developing just as fast, what are the latest options to meet the market and what is in the pipeline? Heading up some of the most cutting-edge research, NIAB has been working on a plant which was formally thought of as a weed – Buglossodies arvenis. Now known as Ahiflower or Gromwell it could be a profitable and reliable crop to include in a rotation, explains Dr Lydia Smith, head of farm innovation at NIAB. “The oil provides a new, sustainable source of stearidonic acid [SDA] – a long chain fatty acid with potential health benefits for humans,” she adds. While fish is commonly regarded as a source of fatty acids, it is in fact algae which produces it, not the fish – meaning fish reared in fish farms doesn’t contain high levels, explains Dr Smith. As well as premium price, Ahiflower has agronomic benefits, says Dr Smith. “For those struggling with weeds – particularly black-grass – it is an advantage to have an alternative crop in the rotation. It is also great for biodiversity, with the flower providing a good source of food for pollinators.” The past few years have seen rapid changes to the food industry, with consumers becoming more health conscious – driving a demand for new, specialist crops. Quinoa is just one of many crops which has seen an increase in demand due to its nutritional benefit – as well as providing a good alternative break crop, explains Stephen Jones, director at the British Quinoa Company. “Quinoa is a healthy, wholegrain product and we have worked closely with breeders to produce dependable varieties which can be grown in the UK,” he adds. As well as being a reliable break crop, quinoa adds biodiversity and improves the soil, says Mr Jones. But it is not just about brand new options – developments in technology and breeding are giving older crops a new lease of life. In the pipeline, developments to hemp, forage radishes and plantain could see dramatic improvements over the coming years. Latest research from Harper Adams University is also attempting to bring back a forgotten crop: naked barley. Evidence shows naked barley carries the beta glucan soluble fibre known for controlling cholesterol as well having as a low glycaemic index – meaning it can help with Type 2 diabetes. Dr Edward Dickin, crop production lecturer at the university, has been researching the viability of growing this specialist crop in the UK. 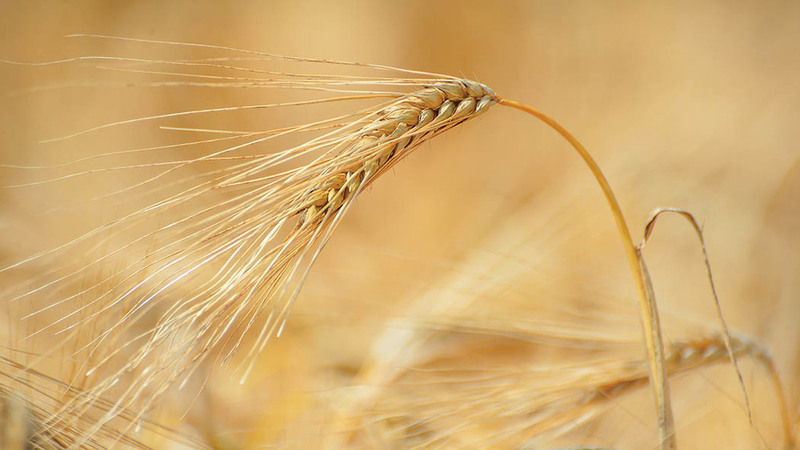 “Currently there are no commercially available naked barley varieties bred in the UK. Seed from places like the Himalayas and Japan is not adapted to UK climates so a lot of cross-breeding has been done to make this an option in the UK. Unfortunately, a lot of unwanted traits come in with a wide cross, so further crossing is needed at this stage.” Developments to linseed crops are also providing promising options for growers. “There is increased interest in ultra-high omega-3 strains of spring linseed,” says Nigel Padbury, seeds and marketing manager at Premium Crops.